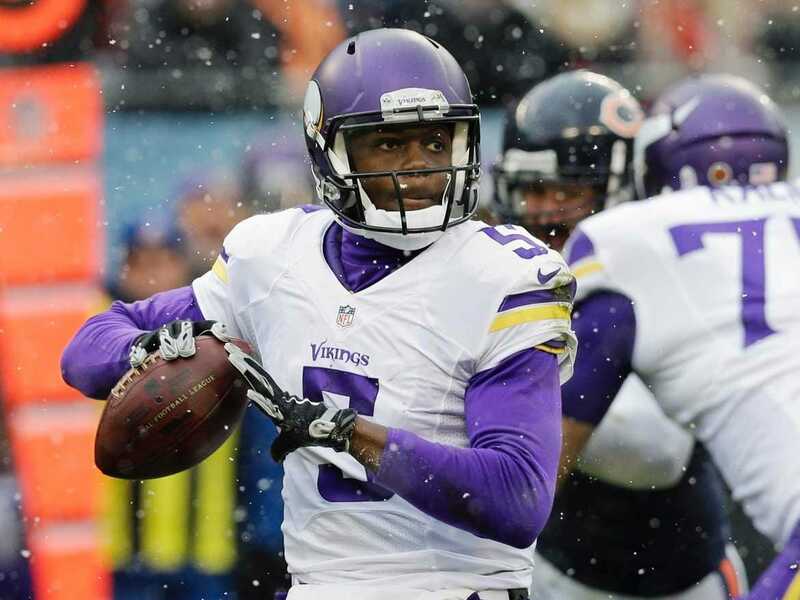 Minnesota Vikings quarterback Teddy Bridgewater said he didn’t know how much time was left when he had a low-percentage pass into double coverage intercepted with 42 seconds left in his team’s 21-13 loss to the Chicago Bears on Sunday. 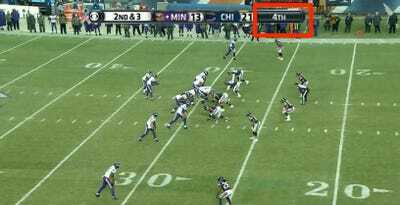 The clocks malfunctioned at Soldier Field during the second half, forcing the officials to keep time by hand on the sidelines. The clocks in the stadium were wrong, and the CBS broadcast didn’t show the time either. The Vikings got the ball back at their own 34-yard line with 2:03 left down 21-13. 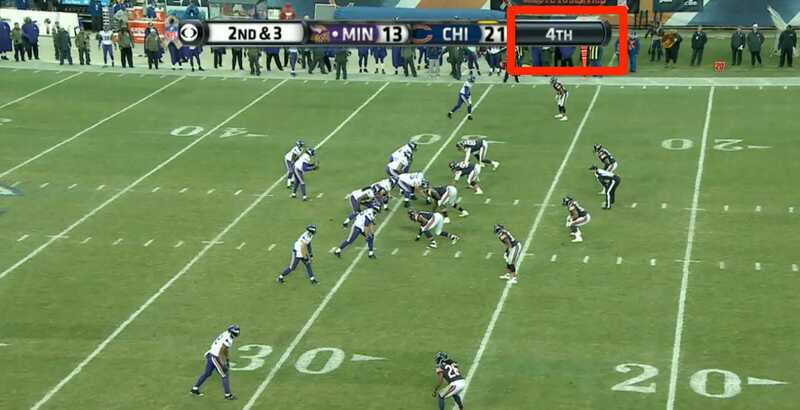 With no timeouts, they drove it all the way down to Chicago’s 29-yard-line. Instead of continuing to inch toward the end zone, Bridgewater chucked up a pass to Charles Johnson with 42 seconds left and it was intercepted by Ryan Mundy. During the drive the public address announcer announced the time between plays, but Bridgewater says he didn’t know how much time was left. Bridgewater: I wasn’t sure at all. It was tough trying to communicate the time and trying to call a play at the same time when we’re working against the time. It was one of those deals when we just have to go out there and execute the calls and trust that when it’s time to spike the ball the coaches would tell us when. Like I said I could have done a better job. I could have gotten the ball the Jerrick [McKinnon] and spiked the ball on the next play. 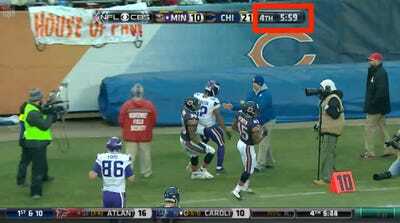 Other Vikings players and coaches weren’t happy. “That shouldn’t be an issue that you face in this league. With the amount of money that this league brings in, the infrastructure should be working 100 per cent of the time,” center John Sullivan told USA Today.